Designed with lasting beauty, incredible durability and easy maintenance, there’s no compromising with high-performance composite decking. That’s why high-performance composite is the only type of decking we make. 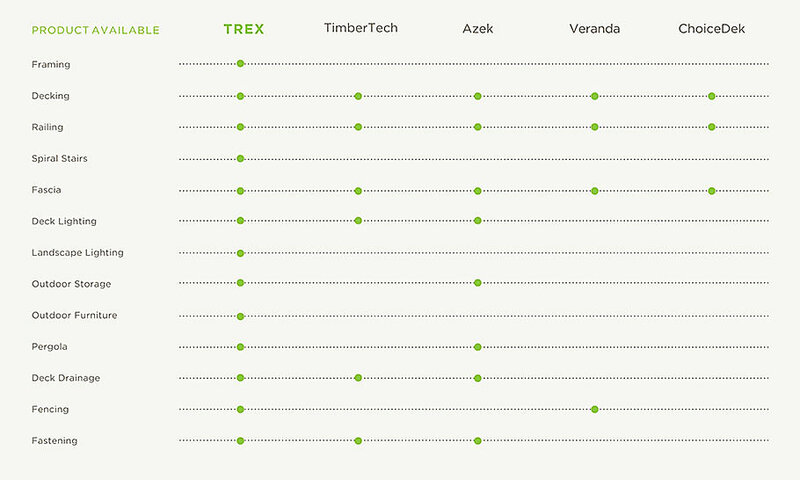 We’ve paired Trex against other types of decking for a head-to-head comparison that proves Trex outdecks, outlasts and outperforms the rest. Go ahead and see which decking material is best for you! Everyone loves the natural look of wood but hates all the painting, staining and sealing. Wood decks of all types, including pressure-treated wood, ipe, cedar or redwood, require extensive upkeep. Trex was designed with the beauty of wood decking, but not all the maintenance. 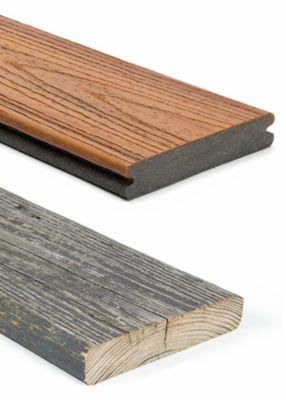 Our high-performance, eco-friendly composite boards withstand years of sun, sleet and snow, keeping their rich color. Through it all, we have never felled a single tree. 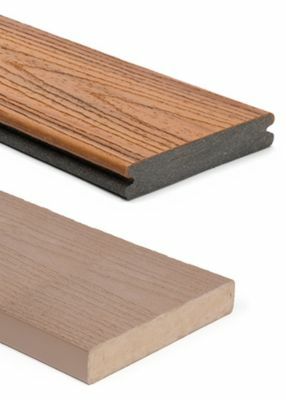 So when comparing composite decking vs. wood, there’s no competition as to which decking material is best. Composite decking has come a long way over the past two decades. We should know: we invented the category. We’ve also evolved it by engineering the most significant breakthrough in composite technology—the Trex high-performance, weather-resistant shell. Without it, early-generation composites don’t come close to the fade & stain resistance that Trex high-performance boards guarantee. And not just for the first year, but for 25 long, glorious years. PVC decking is another low-maintenance alternative to wood. Just like composite, PVC can resist rot, termites and mold. However, PVC decking is far less environmentally friendly, produced mostly from virgin plastic. Compare that to the ultra-green Trex board: made with 95% recycled materials and eco-friendly manufacturing processes, Trex never loses its sophisticated color or performance. Since not all composites are created equal, our Trexperts take a look at some Trex competitors. Choosing Trex means choosing impeccable design. From the Island Mist deck boards to the Island Mist cocktail rail to the built-in lighting in between, we make it easy to create a perfectly matched, perfectly you outdoor oasis. Only Trex has a full suite of outdoor living products that give you everything you need to create a low-maintenance, high-design space from top to bottom. and test our industry-leading performance for yourself.